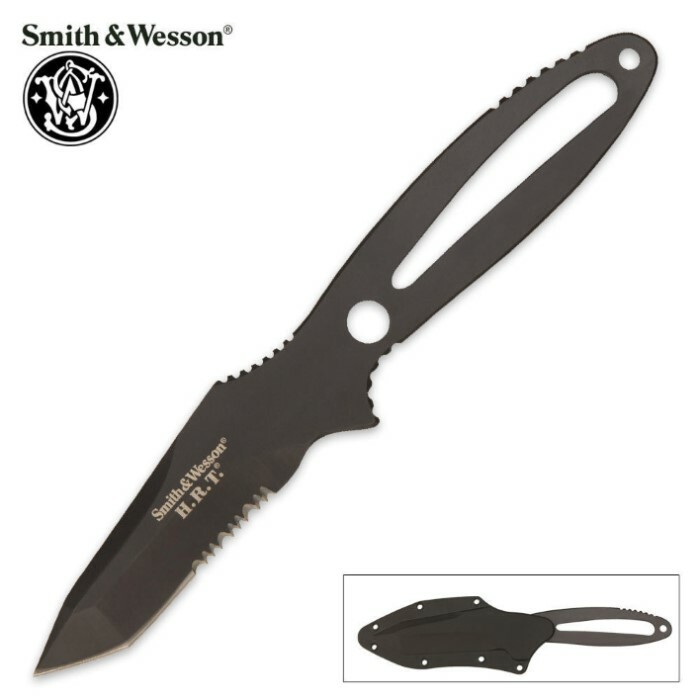 Smith & Wesson Serrated Black H.R.T. Knife | BUDK.com - Knives & Swords At The Lowest Prices! - Black coated serrated AUS-8 steel blade. - Includes Kydex neck sheath with optional belt clip. - 3 4/5" blade, 8 1/5" overall.